The school places a great emphasis on the use of Information Technologies to support the curriculum. The school has provided state of the art computer facilities which are constantly upgraded. 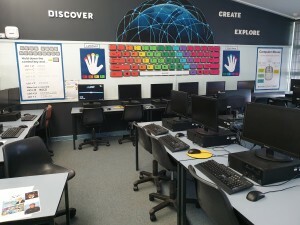 There is a large lab containing 30 computers, pods of desktop computers in classrooms and a class set of notebook computers for Level 5 & 6 students. Colour photocopiers are located at convenient points throughout the school. 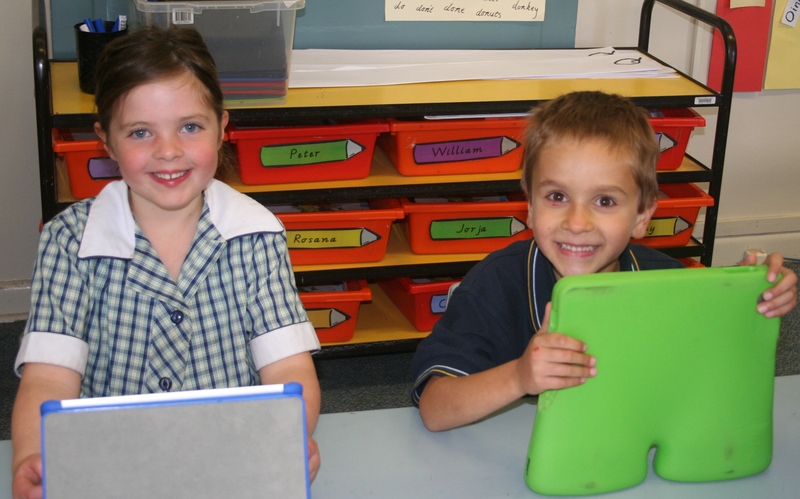 All Year Five and Six students participate in a 1-1 iPad program to support their learning, and students in Years Three and Four have an optional BYOiD (Bring Your Own Apple Device) program to support their work in Literacy, Numeracy and Challenge Based Learning groups. 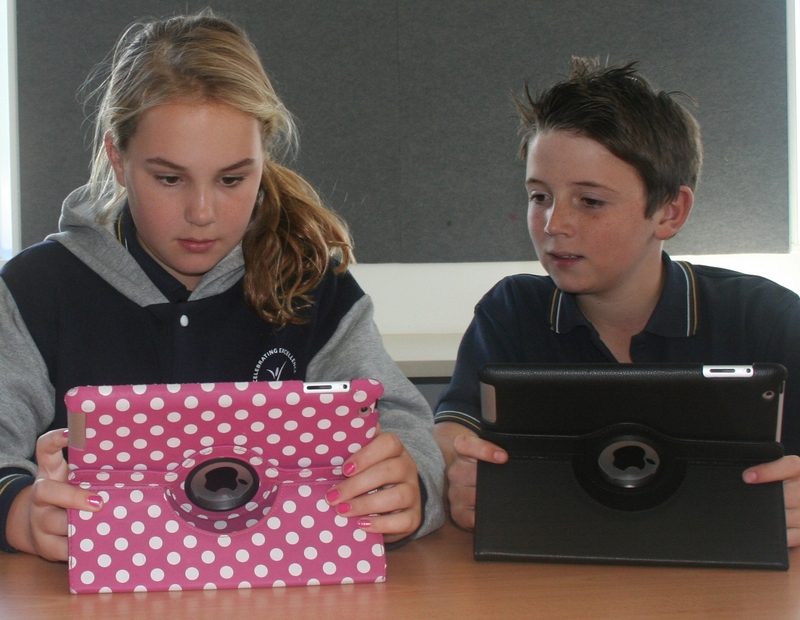 Teachers throughout the school are also using iPads to support their teaching. More information can be found in our iPad Program page. 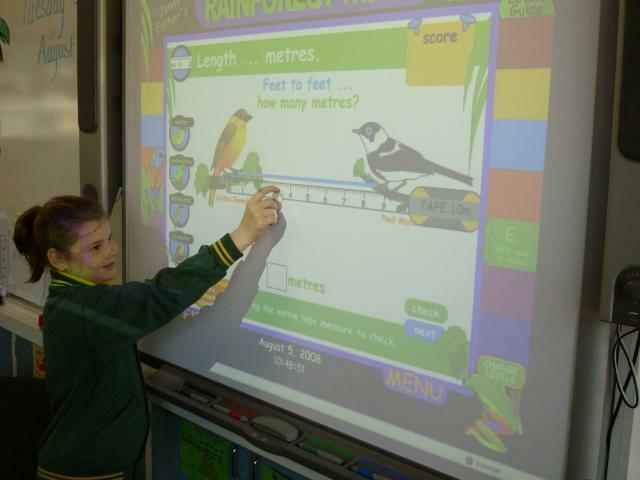 Interactive whiteboards and data projectors are installed in every classroom. These allow teachers to teach specific skills and give software demonstrations. Students can play educational games in groups and display their work for the class. Teaching teams plan eLearning activities each term. The activities are integrated across all Victorian Essential Learning Standards (VELS) domains and are designed to enhance the curriculum and assist the students to achieve specific learning outcomes. 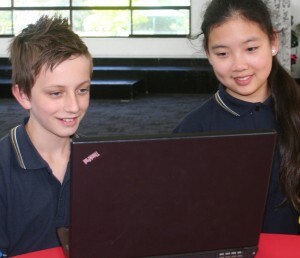 Typical computer tasks involve the use of digital photos to enhance a report about a recent school excursion or event, designing posters or brochures about a campsite or country being studied, and using the internet to research information for a project. Students at all levels are encouraged to improve their keyboarding skills with the regular use of a Typing Tutor program. Whilst touch typing is not expected, students should be using two hands to type, and quickly locate the position of each key on the keyboard with more than one finger. Each student saves their best work samples each year as a record of their eLearning through the school. This is burnt onto a CD Rom and presented as a digital portfolio at graduation. Our students have access to a wide variety of digital technologies. To ensure that these forms of learning are used well, we teach students cyber safety skills using a variety of interactive programs which are tailored to age appropriate levels. These programs take place during ICT sessions, our multi-age ‘Circles’ program, and during our Prep/Grade six ‘Buddies’ program. We have a Cyber Safety committee set up at our school to maintain up to date teaching tools and protocols. Our committee is made up of the Principal and selected teaching staff, as well as a parent representative and senior students. At times, we promote parent information through information evenings, our Parents Association and our weekly newsletter. Our cybersafety research at Donvale Primary School has shown that students are more likely to bully or experience bullying during times of transition. As a proactive measure, middle to senior school students (Years 3 – 6) have all participated in various age appropriate cybersafety sessions. Each session has been designed to equip them with healthy cybersafety practises as well as empower them should they experience any negative activity whilst online. Our Junior School children (Years 1 & 2) will have their training early in the new school year. For more information about the ICT program, contact your child’s teacher, level co-ordinator , or Rick Gordon, the ICT co-ordinator.